Throughout the campaign leading up to the Museums at Night festival in May, we issue several publicity deadlines for you to register your event listing in our database and send us your publicity photos. If you can register your event listing by Friday 13 February, it will be included in all of our PR pushes. The second deadline is Friday 20th March: if you register your event listing by this date, it will appear in our March outreach. The final deadline to take advantage of Culture24’s PR for the festival is Friday 24th April. Our system allows you to register events right up until the festival itself, but we strongly recommend that you aim to meet one of these deadlines so your venue and event can be part of the festival publicity campaign. Here’s how to register your Museums at Night event. 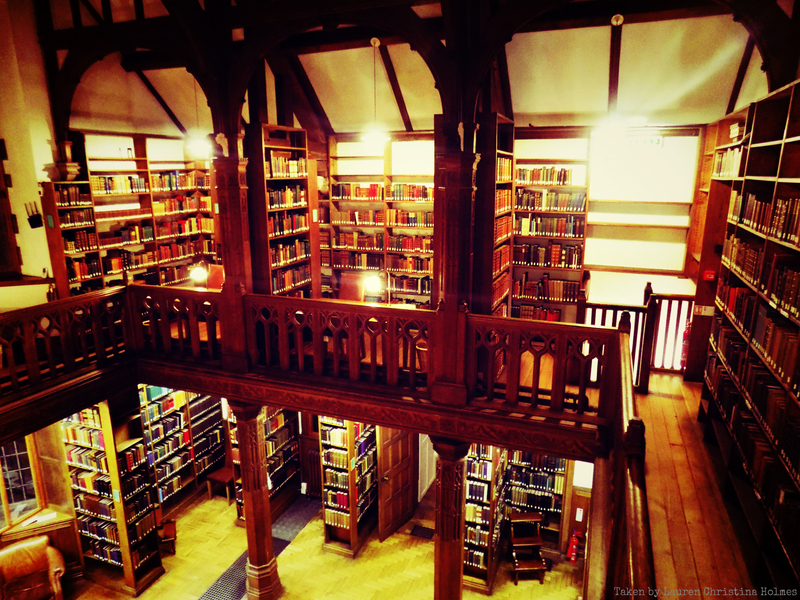 Gladstone’s Library at night: PR helps attract visitors to fill up your venue after hours! Finally, we’re working on a new Museums at Night website for this year which will have much more of a focus on pictures. When you register your event in the database, do upload an image to help it stand out. We’re already getting approached by media outlets wanting to feature the festival, who are looking for attractive photos of people in museum and galleries after hours. So please email us your high-res publicity photos, along with the copyright info and photographer’s credit! 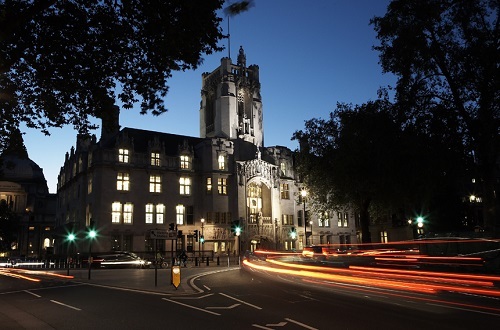 Museums at Night 2015 first publicity deadline: register your events by Friday 13 February! Posted on January 14, 2015 by Culture24 | Comments Off on Museums at Night 2015 first publicity deadline: register your events by Friday 13 February! Thank you to everyone who’s got in touch asking about how to register events for the Museums at Night festival! Our first PR deadline is Friday 13 February 2015. If you register your event listing in our database by 5pm on this date, it will appear in our themed press releases going out to long-lead glossy magazines. What else can you do to help us get you publicity? Send us your photos! We’re looking for high-resolution photos showing members of your target audience having a good time in your venue – perhaps doing a hands-on activity, holding objects, or in costume, if it’s a costumed event! 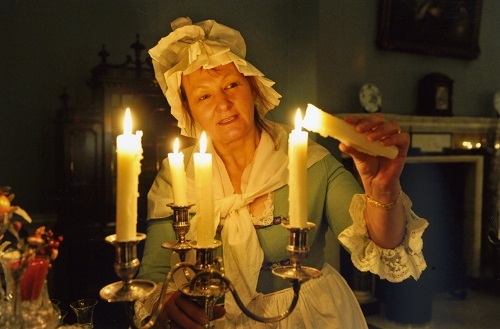 If you’ll be offering a certain activity or food and you don’t have decent photos to illustrate it, it’s absolutely fine to stage a photo-shoot, as the Museum of Farnham did recently so they had a suite of images to use to raise awareness of their Museums at Night sleepover. If your event is aimed at families, you’ll want to get some photos with children of your target age group: make sure you have their parents’ permission. 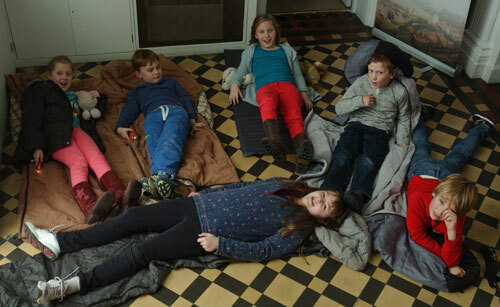 Children posing with sleeping bags at the Museum of Farnham ahead of their sleepover. Picture courtesy Bryan Sewell. On the other hand, if your event will offer sophisticated cocktails and live music, show people enjoying them amid your objects. Have you run a similar event in the past? Look through your pictures – and any people shared on Twitter, Instagram or Facebook on the night – and see if any would be good to use for publicity now. Having great photos can make the difference between a tiny news nib in your local paper, and attracting a half-page feature. So please, don’t delay: register your events and send us your photos today! Comments Off on Museums at Night 2015 first publicity deadline: register your events by Friday 13 February! Every year, we love to see photos of people having a great time at Museums at Night events. In the past, we’ve invited venues and visitors to add photos into a Flickr group, but as fewer people are using Flickr now, we’re moving over to the more popular Instagram and Twitter. 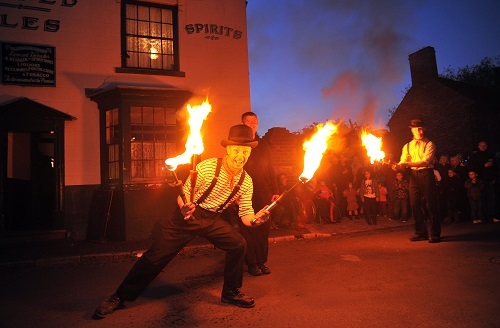 We’re looking for shots of individuals and groups having a great time inside or outside Museums at Night venues – which range from museums, galleries, libraries and historic houses to unusual heritage sites like cemeteries, air raid shelters, gasworks and ships. We’ve asked everyone taking photos to make sure that photography is allowed at the venue they’re visiting. If you want to share photos of happy visitors to your events which include children, please make sure that you have their parents’ permission first. To take part, simply share your photos in Instagram or Twitter using the hashtag #MatN2014, or email them to rosie@culture24.org.uk by 5pm on Friday May 23. We’ll showcase the best photos on the Culture24 and Museums at Night websites! Thanks to everyone who’s registered Museums at Night events: we have almost 300 in the database already! Our latest publicity opportunity is a great one if you have high res photos showing people exploring your venue and collections. This opportunity is open to any organisation taking part in the Museums at Night festival, large or small. 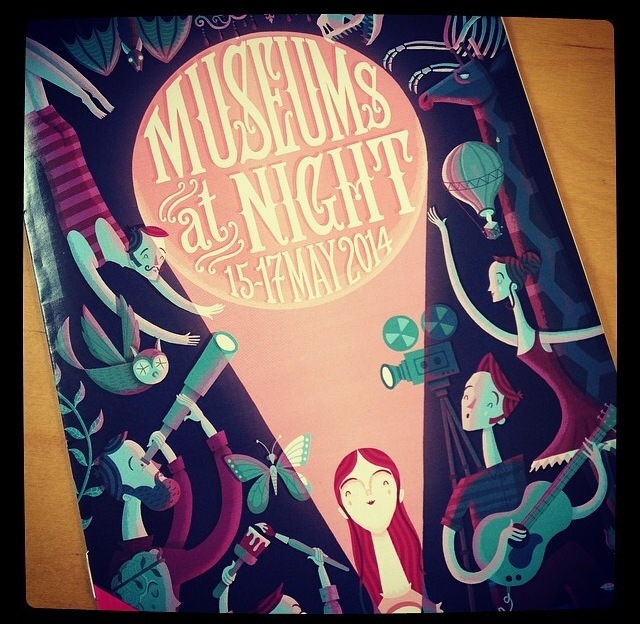 Our festival PR agency, Bullet PR, are putting a call out for images to represent the Museums at Night festival 2014. If you have a great image to accompany your Museums at Night event, please forward a high res version (1.5 mg or more) either by email or dropbox link to pandora@bulletpr.co.uk. If you’re setting up a photo opportunity and want to take pictures of children, you must get their parents’ permission. When you’re sending images through to us, don’t forget to tell us what the image shows (e.g. any specific collection objects or buildings), the photographer’s credit and any copyright information. The best images will be selected for the Museums at Night press image library: when media representatives get in touch with specific requests, e.g. asking for landscape or portrait photos of families or costumed characters having a good time at festival events, this is where we direct them. Your pictures could appear in newspapers, magazines, on websites and across all kinds of social media – so please, do send us your best! 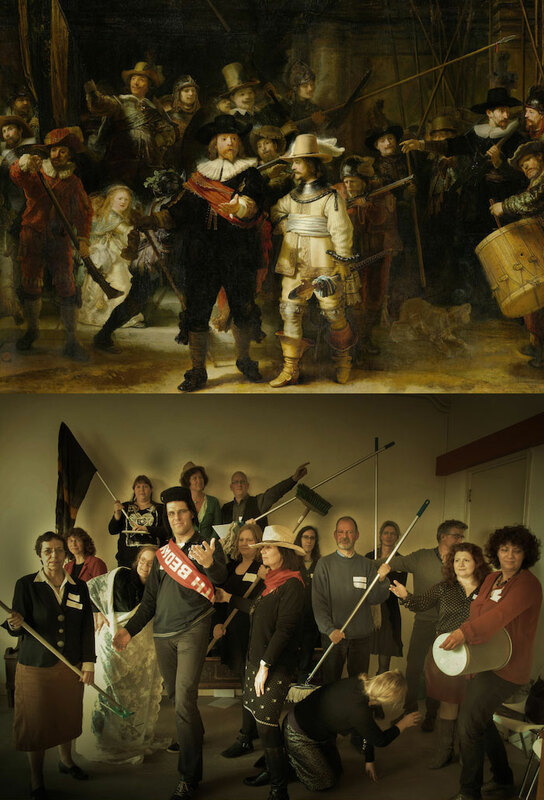 VanGoYourself – recreate artworks with your friends for Museums at Night! UPDATE, MAY 2014: VanGoYourself is live and you can play it now! Just go to www.vangoyourself.com. Read on for the background story! ‘VanGoYourself’ (working title) offers venues an opportunity to directly engage visitors with their paintings in playful ways. This responsive website, which is currently being developed, is aimed at museum and gallery visitors who are tired of just looking at paintings, and like the idea of getting inside them instead. Its inherent sociability, playfulness and photographic output also support the behaviour of a group of friends out for an evening together. Via the website, people choose from a selection of paintings and pick one that they would like to recreate as a photograph with their friends. They then upload and share their photograph, twinned with the original painting, for others to enjoy. They can decide how ambitious they feel, then choose to recreate an easy, medium or hard painting from a selection of classics (including paintings from your collection). The service will be free and simple to use, and will link up to existing digital channels that users already engage with such as Facebook, Twitter, Pinterest, Tumblr and Instagram. Do you have one or more paintings featuring people (one person to larger groups is fine) that would be suitable for visitors to recreate – perhaps featuring a famous historical figure or a dramatic scene? You will need to choose paintings that are already digitised, and are outside of any copyright restrictions, so that they can be added to the ‘VanGoYourself’ responsive website and shared widely. Is there space in your museum or gallery to set up a “recreation station”? This could involve a rack or box of costume pieces and props such as hats, plastic swords, capes or toys similar to those that appear in the artwork. Ideally, groups of people who come through the gallery should be able to look at the original painting to copy their poses, while their photograph is taken. It will also help if your venue offers wifi to visitors! ‘VanGoYourself ’ is currently being developed by Culture24 as part of Europeana Creative, and will be ready in time for Museums at Night in May. For more information, and to discuss how this opportunity might work in your venue, please contact Nick Stockman on 01273 623278. Museums at Night 2013 has begun! 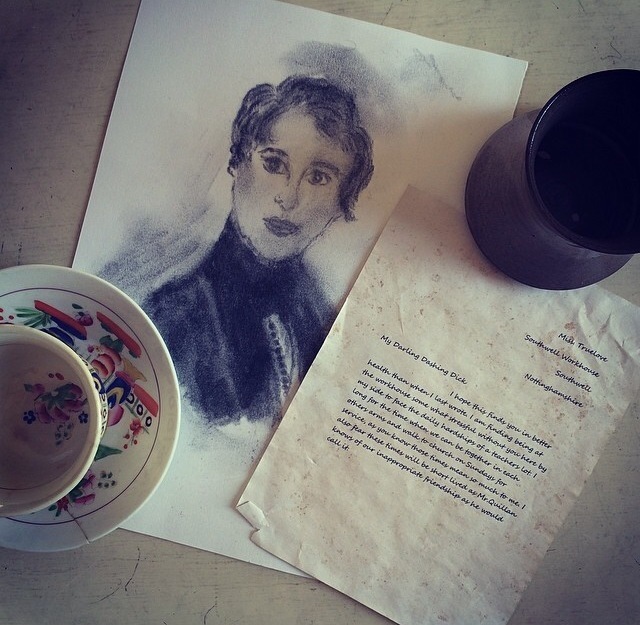 Posted on May 17, 2013 by Culture24 | Comments Off on Museums at Night 2013 has begun! After long anticipation Museums at Night has finally arrived! We are very excited to see some amazing pictures coming through on Twitter from people getting involved in events, exhibitions and performances across the UK. Our own reporters have been racing across the country. Rosie Clarke spent last night in Lancashire, singing along with Susan Forsyth’s Zusammen Choir while Amy Strike spent her Thursday night detecting bats at Hatchlands Park. Ben Miller, Nick Stockman and Sejul Malde visited the Horniman Museum to see rAndom International’s installation, and Ruth Hazard enjoyed an exclusive night behind the scenes at the Faber and Faber Archives. Tonight the Culture24 interns, along with Jack Shoulder will be dashing around the Grant Museum of Zoology for the UCL Treasure Hunt, while Richard Moss will be in the Brighton Toy and Model Museum examining trains. Nick Stockman will be on the way up to Newcastle tomorrow to take part in Julia Vogl’s giant art installation, while Jane Finnis will be joining the Chapman Brothers at the Jerwood Gallery. Meanwhile, Anra Kennedy will be making a Great Escape to Brighton Museum, and Amy will be curled up in Brunel House’s Midnight Apothecary, recovering with a cocktail. If you are looking for a Museums at Night event to go to there is still time! You can find out more about the hundreds of events happening over the next two days here. We look forward to hearing about your Museums at Night adventures! Comments Off on Museums at Night 2013 has begun! There’s nothing like a Museums at Night event to get people excited, and already we’ve seen lots of media coverage of your events. Want more? Here are some last-minute promotional tactics that you can carry out in the next 15 minutes. Make sure that your Museums at Night event is registered in Culture24’s database! With two days till the festival kicks off, this is your very last chance to benefit from our national PR campaign: if journalists ask us what’s happening in your area, and we don’t have details of your event, we can’t spread the word about it! Here’s how to register. Double check that you’re promoting whatever your Museums at Night event is on your own site (and Facebook page, if you have one). It sounds obvious but at the very least you need to list the date, event times and ticket price, along with contact details for potential visitors to make a booking or find out more. If you’ve already sent press releases, that’s great – but now’s the time to follow up with a phone call. Your local newspapers and radio stations are looking for content – so could you do a short interview with them on Thursday morning about the Museums at Night excitement you’re planning? Will they send a reporter or photographer along on the night? Phone them now! However, in your messages, be sure to include a link to your event listing online, or to the site where people can find out more and book tickets. Rather than just broadcasting, if you want your followers to take action, make it easy for them by giving them a link to click rather than forcing them to Google for more details. Don’t forget, the Twitter hashtag for Museums at Night 2013 is #MatN2013 – if you use it, we’ll retweet you. Send a quick newsflash reminder to your email network about your Museums at Night event – this is their last chance to book tickets! Bonus points if you have a good image to include. You’ve already distributed posters, flyers and leaflets around your area, but you want to attract new audiences on the night too – but if you don’t have enough staff to stand outside welcoming potential visitors, how can you grab their attention? Good signage can make a big difference: if your venue’s on a side street that doesn’t get much passing traffic, use pop-up A-frame signs to catch people’s eye. Don’t have signs? Simply chalk on the pavements! During Museums at Night last year several venues chalked a trail of arrows to direct passers-by to their front doors, and were delighted to report that this drew in curious new visitors. If your tickets are selling slowly or quickly, if you may have to cancel or if your event’s now fully booked, please update us! Call 01273 623336 or tweet @MuseumsAtNight. LightNight from the Hatch on Vimeo. And finally, thanks for all your lovely comments about this year’s BBC History Magazine Guide to Museums at Night!